Exergen Precision Infra Red Temperature Gun. The DX-Series is an entirely different type of instrument than conventional temperature measuring devices. 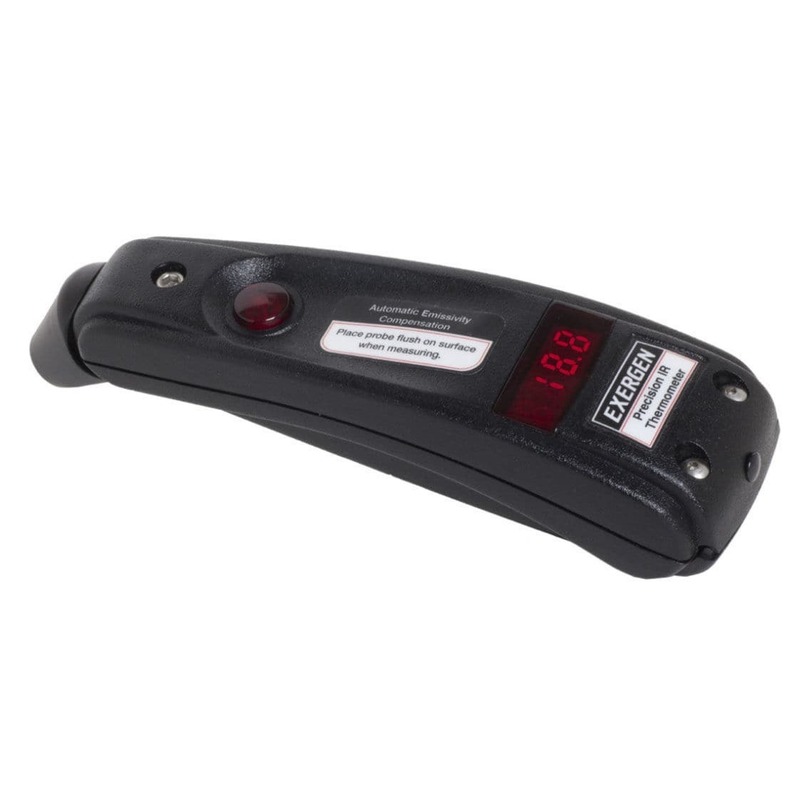 Designed specifically for the highest possible accuracy, it is the only infrared instrument which can be certified with NIST - traceble accuracy on real surfaces of unknown emissivity, while remaining completely free of the contact errors and heat sinking errors of contact devices. The true emissivity of a surface can never be accurately derermined by conventional infrared devices. Without Exergenâ€™s Automatic Emissivity compensation system, IR devices with a pre-set emissivity setting can only display an approximate temperature over their entire temperature range.